We love cakes here at Geeky Gadgets, especially geeky ones, and have featured quite a few different ones in the past, the latest one is definitely one of the coolest we have seen so far, the Sony PSP Cake. 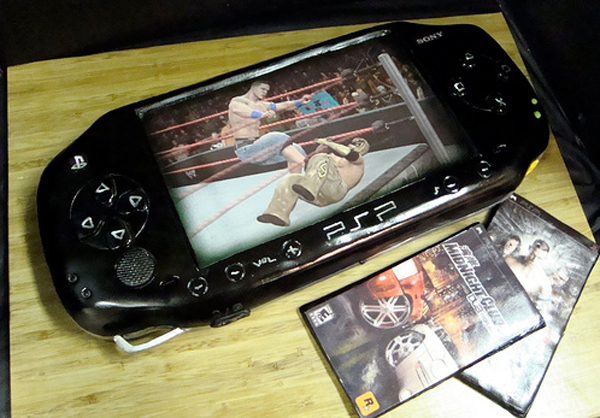 The Sony PSP Cake is about three times the size of the real PSP, and it measures 18 inches long, and was make by Debbie from Debbie does cakes. Very cool, head on over to Flickr and check out some our Debbie’s other cool creations like the cool Left 4 Dead Zombie Cake.